At Tranquil Earth it is our belief that a good Landscape begins with a good design. By understanding your goals, we can develop a Landscape plan that can be implemented in phases based on budget and priority. A Landscape plan ensures that the final design can reflect your overall taste and be constructed in a logical and cost effective manner. 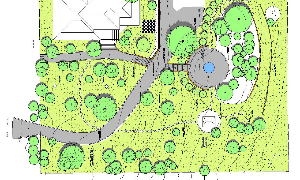 We always take a fresh, innovative and creative approach to Landscape Design. The fundamentals, however, are based on the most proven and up-to-date Landscape and Horticultural practices. Our commitment to continued professional development ensures our clients access to the latest in plant selection, materials and advances in technology. Our goal is to design and create the most beautiful, and functional environment for you to enjoy.